At the Brooklyn War Memorial, I took into consideration the original woodwork, details, and school gym feel of the site. 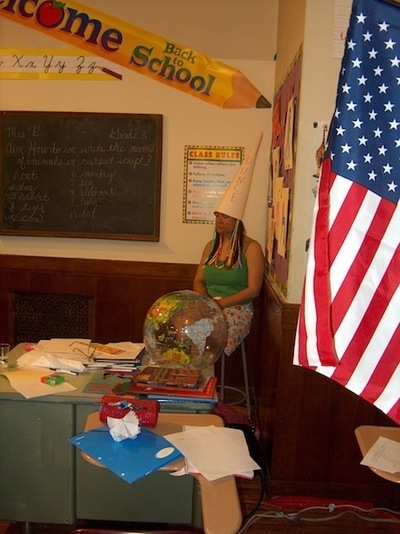 I decided to make use of the natural features of the space by building a site-specific installation of a third grade classroom, and re-enacting an experience I had in third grade when I was made to where a dunce cap. 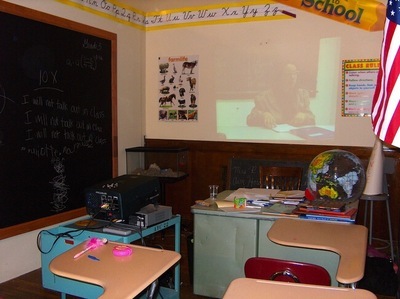 I built a wall, assembled two chalk boards, six or so bulletin boards with titles such as “Third Grade Art Stars” and “School is Cool,” posted original drawings and report cards, installed a teacher’s desk, student chairs, a rat as a class pet, and all of the details of a real third grade classroom, down to hand-scribbled notes, blow pops, and gum stuck to desks. It was a time-intensive project that took months of preparation, and a full week, working around the clock, to install. 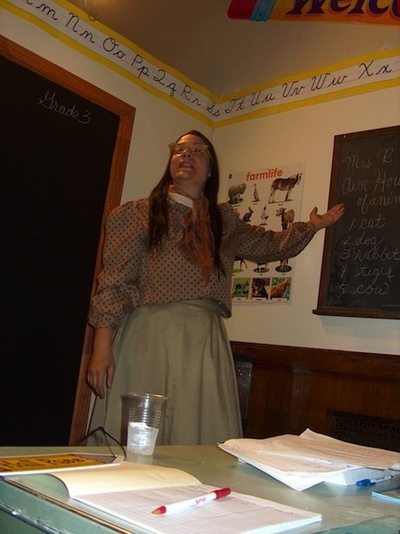 At the opening of the show, I conducted three live performances: one, where I played the part of the misbehaving student, another, the reprimanding teacher, and another where a sound piece played of children making fun of me while I sat in the corner of the classroom wearing a dunce cap. 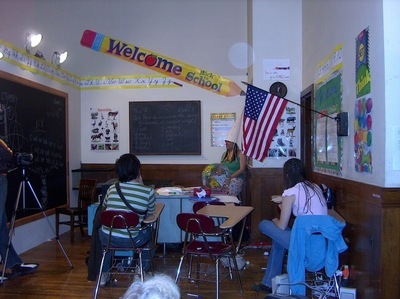 Throughout the event, audience members were welcome to come up, take a seat at a student desk, and participate as active members of the classroom. Unfortunately, all of my video documentation of the installation and live performances is missing. I have only a handful of photos (including these here) that I pulled together from people who were there at the opening.